In 1969 I was in my first year in secondary school, and took music as my optional class. This turned out to be rather boring, but occasionally students were allowed to bring a favourite record along and play it to the class. One day a boy named Tim Snow brought along a record that was simply the highlight of all my music classes at high school. That album was Switched on Bach. So began my interest in synthesizer sounds. I started collected albums over the next few years as they became available. There were quite a few in the footsteps of SOB. As a youth I was more interested in rock than classical music (of course), and was quite impressed with Keith Emerson’s use of the Moog. ELP’s Lucky Man certainly gave a different dimension of what a synthesiser could do. Time moved on (I got a job as a telecommunications technician, got married, did the big OE...). It was when I got back to New Zealand in 1979 I decided to build a synthesiser. 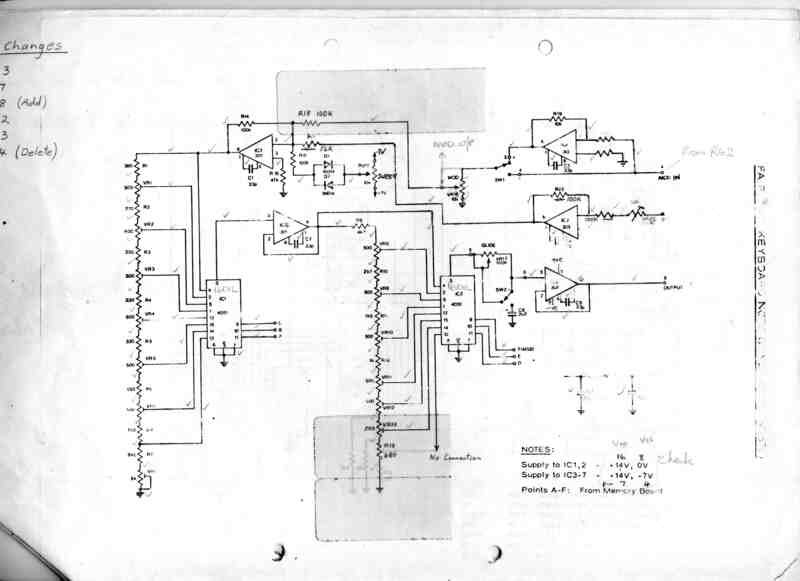 By this time I had developed an interest in electronics and had built several other projects such as audio amplifiers. 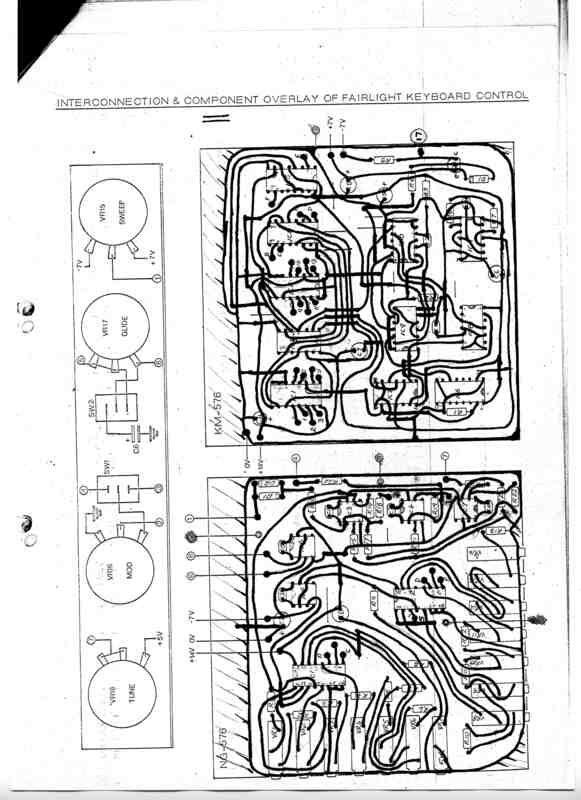 I remember looking into another DIY synth that was featured in Practical Electronics magazine about the same time as the ETI synth design was published. I can’t exactly recall why I went with the ETI 3600 but availability of parts was probably the reason. Back in those days New Zealand had very strict import restrictions. In these days of on-line ordering and parallel importers it is hard to imagine how difficult it was to get all the bits together for the project. The keyboard came from Maplin in the UK, and the key contacts from Jaycar Electronics in Australia. The knobs came from somewhere overseas too, and I remember searching for a while to find the quantity of knobs at a price I could afford. Most of the electronic components were available in NZ (even the 4416 IC), but the inductors for the EQ had to be made to order. Getting all the components was difficult, but a greater challenge was to understand how to put it all together. I had most of the ETI articles but seem to recall spending some time trying to work this out. 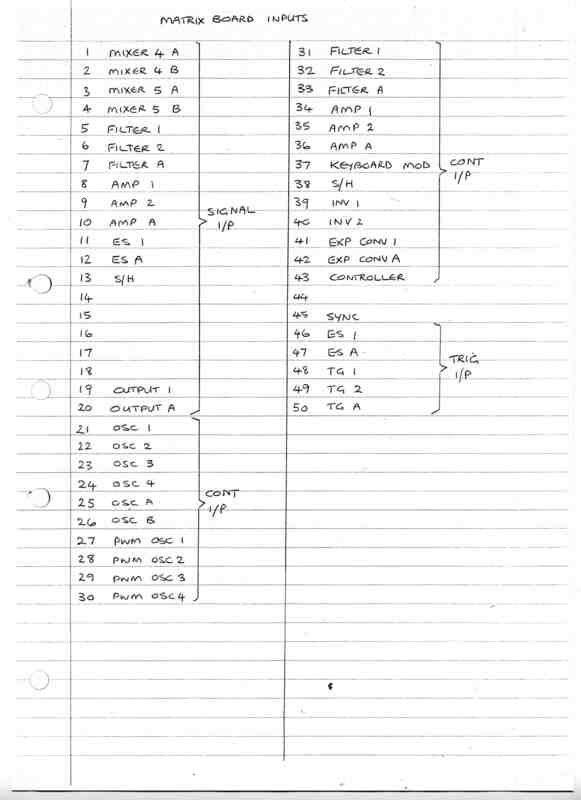 Each module was described in a separate article in the ETI magazine but I didn't see an overall block diagram published until about halfway through building it when I got a copy of the Maplin 3800 / 5600s booklet. 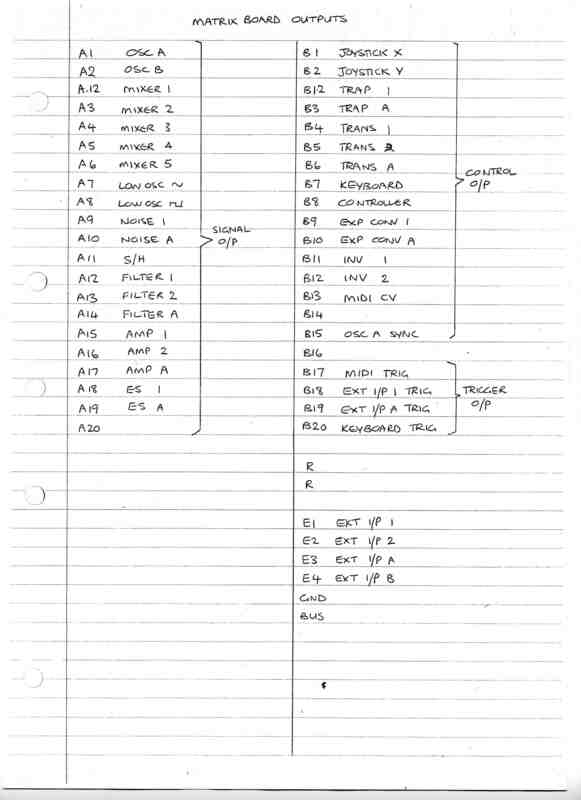 The Maplin version had several improvements and I included some of them (the sample and hold, squarewave output from the LFO, retrigger for the Transient Generator, using a 3 terminal voltage regulator for the +5V supply, PWM from the LFO or TG). I also added a phaser circuit, and a second external input. Other enhancements followed - I included the BPF from the original 4600 filter, a joystick, added a 128 note digital sequencer, and a sub-octave generator which could divide down to 1/32 of the oscillator 1 frequency. I can’t remember how long it took to complete the 3600 but it was probably about a year. The testing period tried the patience of my wife, as I delighted in making the weirdest noises and then saying ‘sorry, it can’t be working properly yet’. There were two things that stood out when it was finally finished – firstly, the oscillators were nice and stable (better than the Mini Moog etc). The other thing was not so good. When playing the keyboard a second key-press would have no effect until the first key was released. This was a major problem as it meant the player had to articulate his/her performance to an unrealistic degree of precision. Absolutely no good for my Keith Emerson impersonations! The only practical solution was to throw away the keyboard controller and replace it with one designed by Fairlight Instruments. 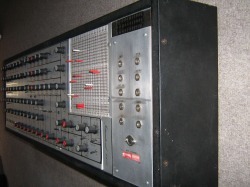 This provided the synthesiser with the much more usable ‘last note priority’. Although it was a major modification, it was kind of cool because from then on I could say my synthesiser was partly a Fairlight design! Being portable, I used it for live performance when I played in a band. By now I had a hybrid synthesiser with bits from the 3600, 4600, and Maplin 3800 design, plus the other additions and modifications. The 3600 was very much a build it from scratch project (not a kitset). The front panel was a sheet of aluminium I drilled and designated with Letraset. Several of the circuit boards were my own layout and/or construction. Etching, drilling ... looking back it is a wonder I didn’t try to make the potentiometers too! I mounted the front panel on hinges, which was just as well given the amount of calibration and modification involved. Fast forward to the mid 1980s when I purchased the 4600 from someone who had made a start but lost interest. This was much easier to construct than my 3600. All the circuit boards and mounting brackets were present, as were most of the electronic components. As well as that, I had the experience from the 3600 to draw on. 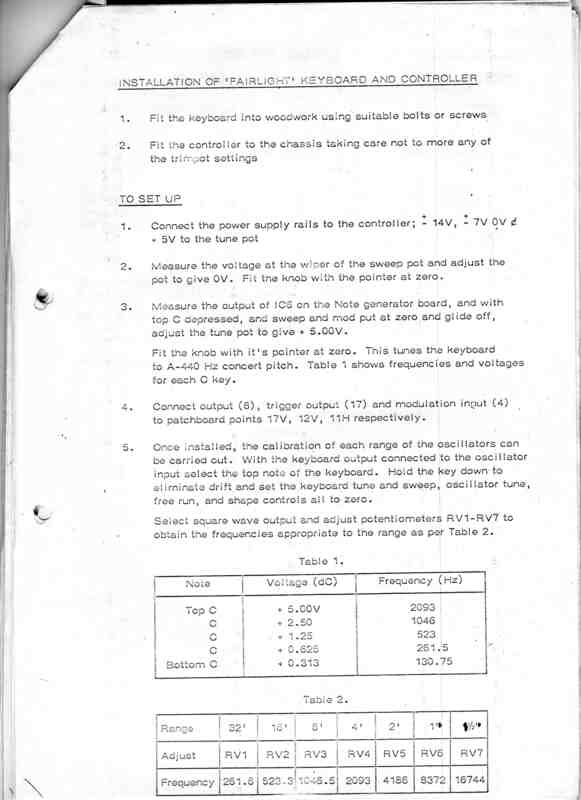 The previous owner had made a case according to the ETI pattern, but didn’t have the keyboard. This was not a problem as by then I owned a commercial studio and MIDI was available, and I had a Yamaha KX88 master keyboard, which drove several MIDI rack units. For this reason I re-housed the synthesiser in a shallow case so it would sit against the wall, and provided it with MIDI input. The MIDI- CV converter uses a 6402 UART and ZN559 D-A converter. The MIDI channel is set using the DIP switches below the MIDI in socket. I used a Korg MS-02 interface to convert from V/oct to V/Hz. I had to refer to a chart and this sometimes made setups a bit prolonged if I hadn’t used it for a while. 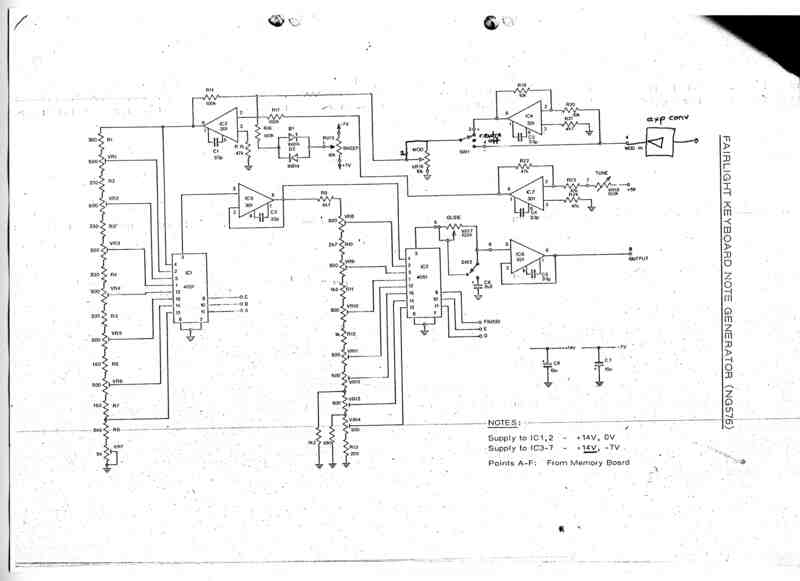 Other than that I did add a couple of modifications to the 4600 – 2 inverter circuits, 2 exponential converter circuits, and the ability to sync the oscillators together. The filters in my 4600 are the 3600 type. 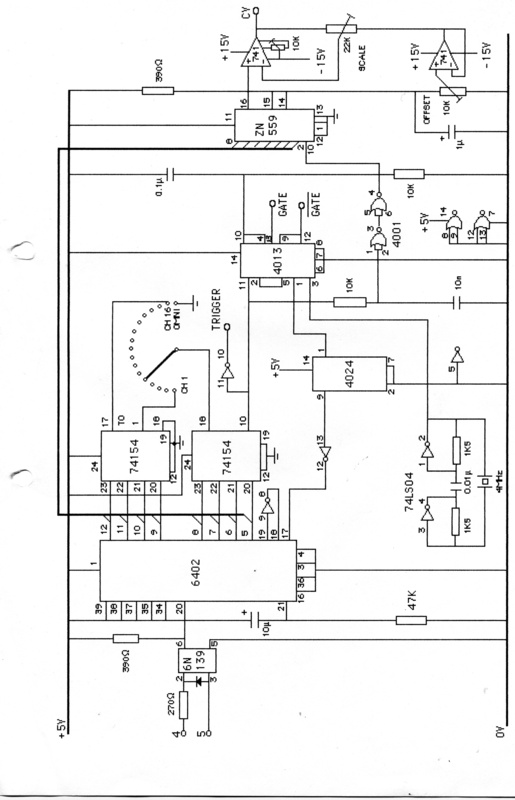 Originally the 4600 had a different filter with a LP-BP-HP switch but no resonance. As with the 3600, I hinged the front panel to allow for easy servicing. Unlike my 3600, the 4600 was only used in the studio. It got included on a few recordings, but was a bit slow to set up for most occasions so it was more of a pet really. Some time after completing the 4600 I came up with the idea of combining the two ETI synthesisers into one uber-modular. 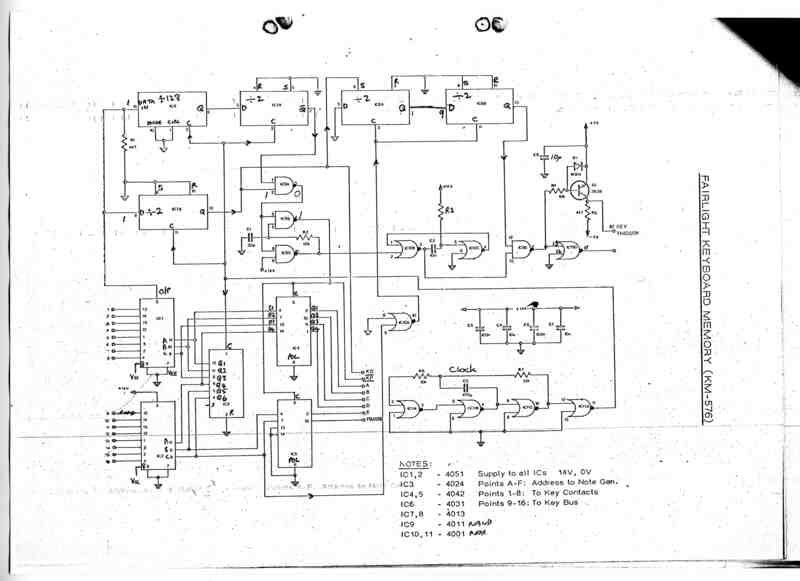 This provided one larger modular synthesiser with 6 oscillators (or 5 + 2 LFOs), 2 noise sources, sub-octave, 5 mixers, 5 EGs, 3 VCFs, and 3 VCAs. You can see in the photos of inside the 3600 that there is no longer any wiring to input / output selector switches, as all the audio, CVs, and triggers go through the 4600 matrix. Three multicore cables go between the two synthesisers to make the connections. Probably about the same time I removed the phaser and the sequencer – I can’t remember why. 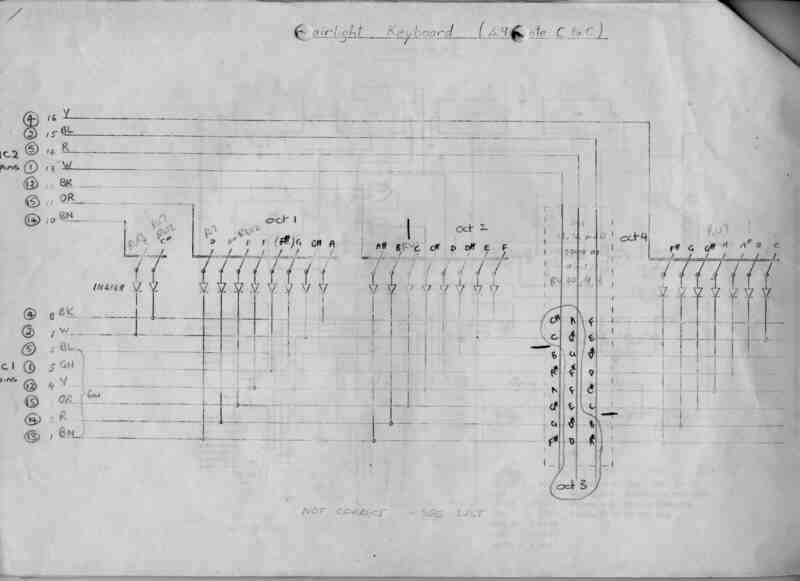 After a few years I lost interest in the ETI synths, as things went from 2 to 4 to 8 to 16 note polyphony. I bought synths by Roland, Yamaha, Korg, Arp, Moog. Who would have thought that analogue synthesisers would become popular again (not me – I sold mine for a pittance). Maybe one day I’ll restore the 3600 to its former state and take it gigging for old times sake. Four videos about the ETI Synth have been put on Youtube by Mike Tillman (who began the above website). As well as hearing a range of possible sounds, he gives detailed instructions on what each control on all the modules does. 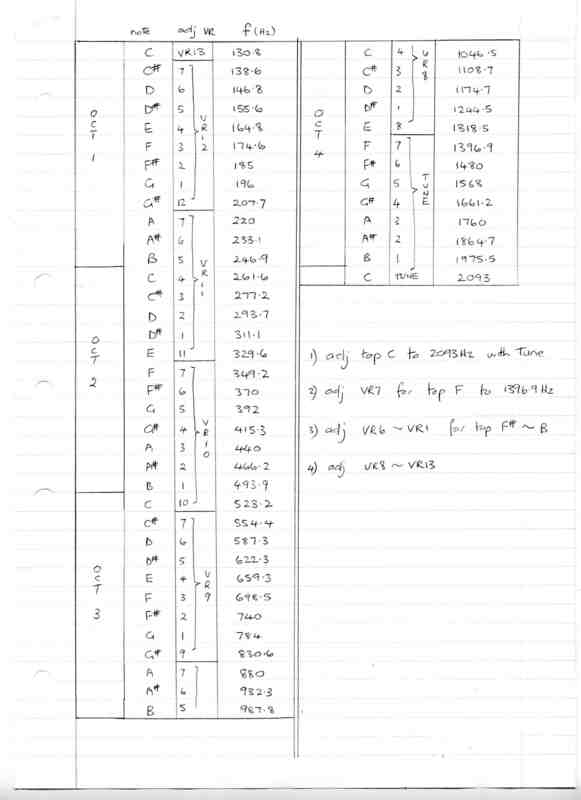 Here are the schematics for the improved Fairlight Keyboard Controller. This is how I wired the modules to the matrix.